This chapter offers some concluding remarks on the analyses and results obtained in this book. We have critically reviewed the long-term care (LTC) systems operating in Europe by offering a detailed taxonomy of the concept of vulnerability and its applied counterpart. We have described the evaluation protocols adopted in the various countries when granting access to care to older claimants. 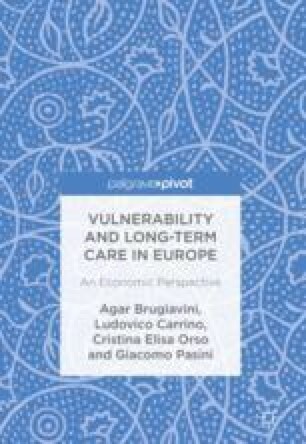 The multidimensional nature of the concept of vulnerability, in the absence of a unique and standardized definition, generates substantial differences in the assessment-of-need and eligibility conditions across Europe. This heterogeneity in LTC programmes implies that coverage, benefit generosity and allowances may be very different even for neighbouring countries to the extent that different groups of older people may experience difference levels of well-being as a result.